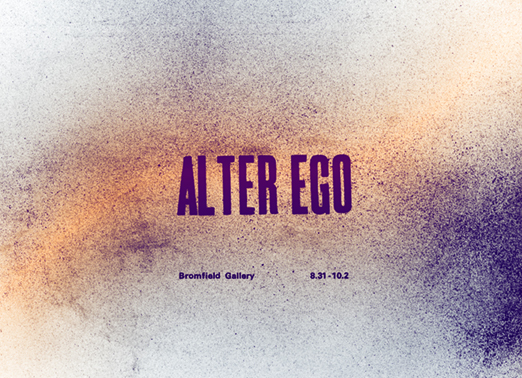 Postcard design for Bromfield Gallery member show, Alter Ego. With no images of artwork, I decide to create original letterpress prints (later digitally colored) for the front design of the card. Gallery members were presented with three options: black, red, and multi-color. By means of democratic process, the multi-color option was selected.